Successfully Added Car Air Compressor Pump-Portable POS Machine Shape 12V 150PSI Preset Digital Tire Inflator to your Shopping Cart. POWERFUL YET COMPACT: Capable of filling up car tires in 80 seconds. Max pressure 150 Psi. Compact design and storage case make it ideal for storage in your trunk. Fused to protect vehicle. LED LIGHTS: Digital tire inflator is equipped with bright and long-lasting LED lights. Except standard flashlight for night use, there are two light modes: flashing and emergency SOS, to make the filling task safer and easier. 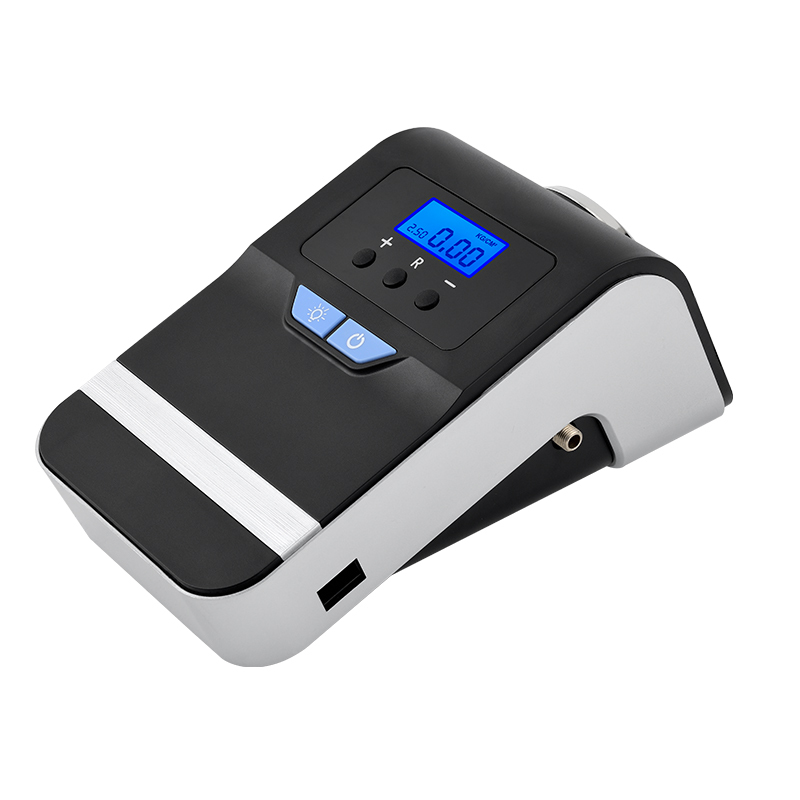 AUTO SHUT OFF: Our auto digital intelligent tire air pump will turn off automatically when the proper tire pressure you set before is reached, no need to worry about over inflated. Preset tire pressure and auto shut off. USER-FRIENDLY: The type of cigarette socket, can be inserted directly, 3M line length to facilitate the front and rear tire inflation. Automatically and rapidly inflated. The switch for power and LED light is independent, make the air compressor pump convenient to use. MULTI-PURPOSE: This digital tire inflator comes with 3 different tips, which is perfect for SUV,cars, bicycles,motorcycles,sport and camping equipments,air bed and other inflatables. 3 M wire length- Long enough for different positions of your tires. Flashlight Mode- Give you emergency service when you are in darkness. 3 Nozzle Adaptors- Inflate air for cars, ball games, swimming rings ,air cushion,basketball etc. 2 Wires for your usage- Electric cable plugs into the car cigarette lighter,the pneumatic tube to connect tire nozzle. Auto shut off at a desired pressure which prevents over inflation for tires. Simply set the desired pressure level by holding + or - button. Four display units for easy reading: PSI, KPA and BAR, KG/CM.